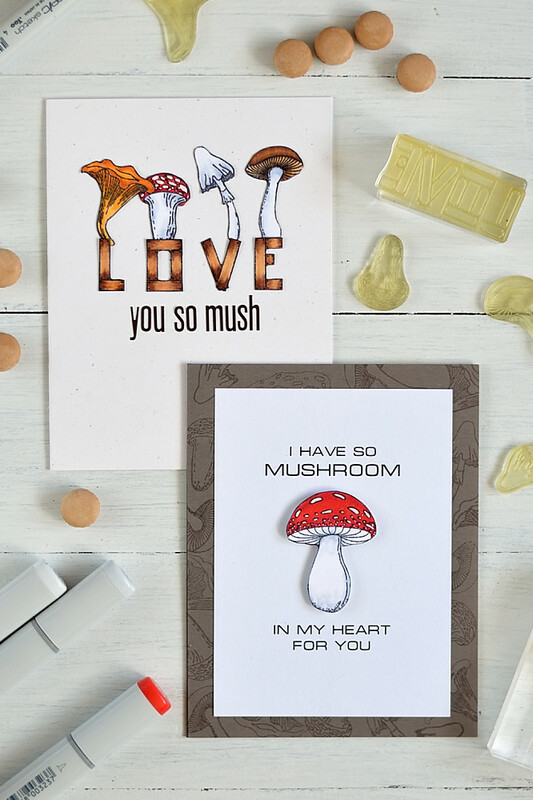 Today I want to share two fun mushroom cards using Lesia Zgharda stamps. 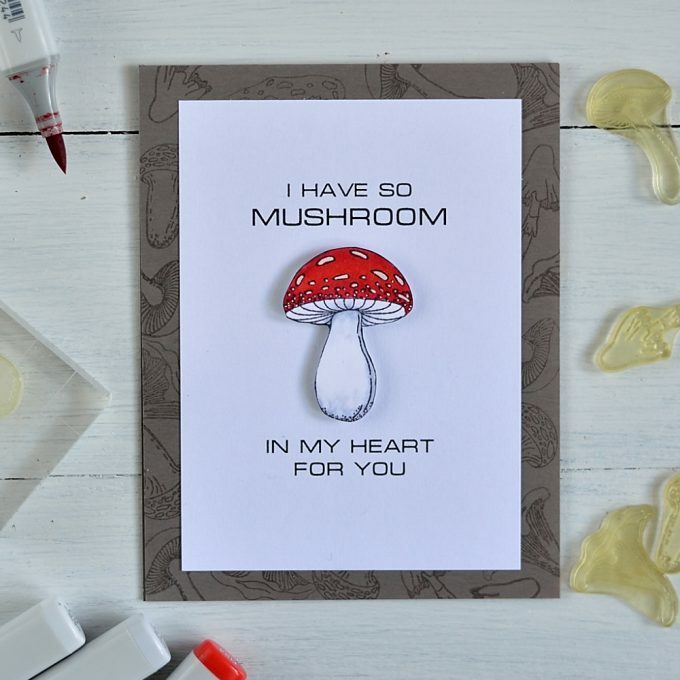 I don’t know about you, but I often associate mushrooms with fall cards. 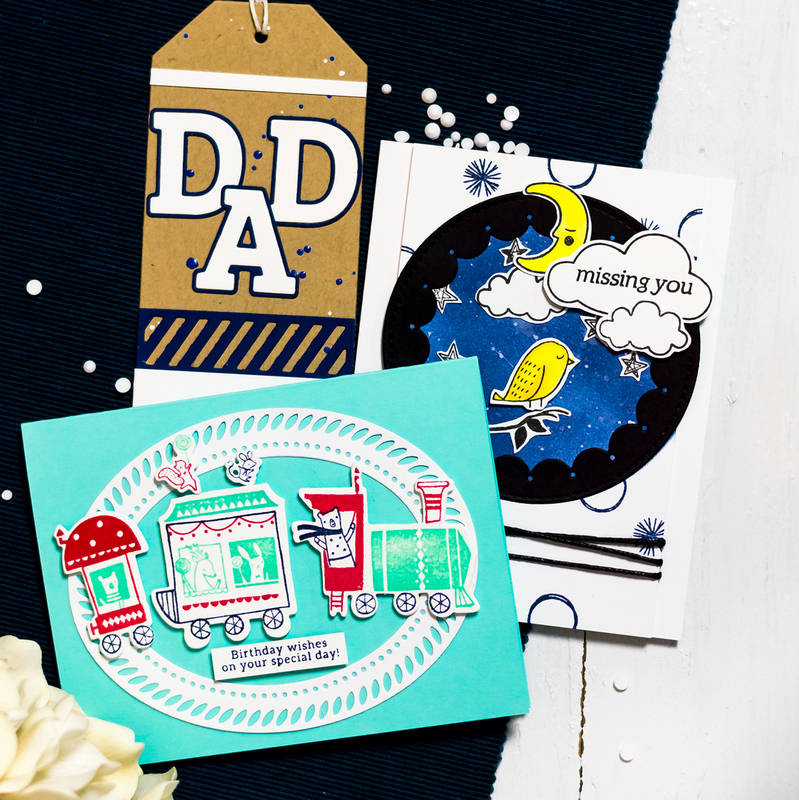 On the other hand, I hate to only be able to use a stamp set during a certain season. 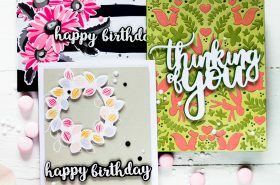 So often look for ways to stretch those stamps. 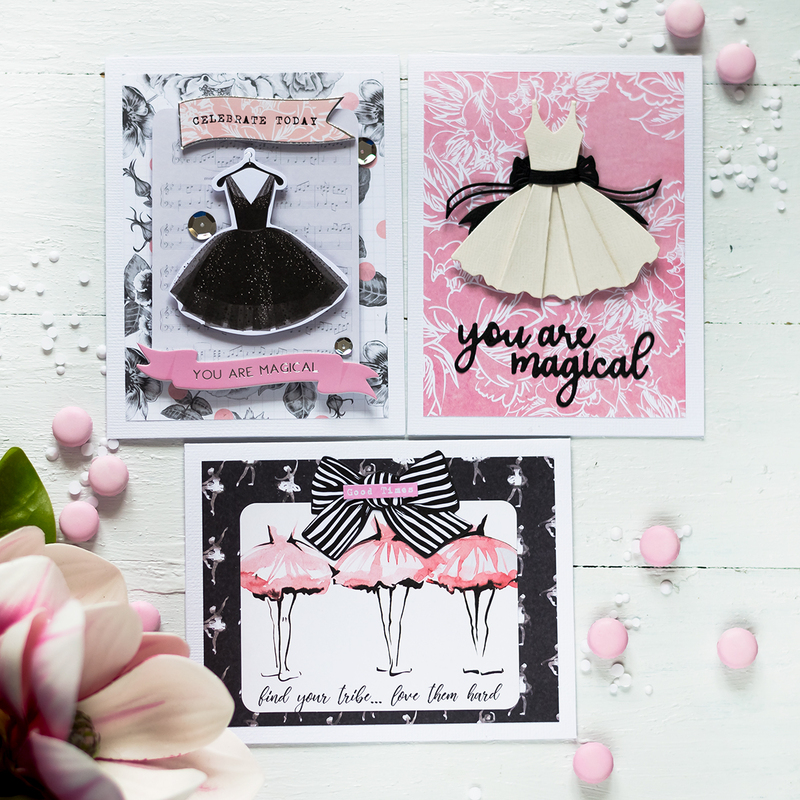 The cards I’m sharing today are built on pun sentiments, which are always fun to use. 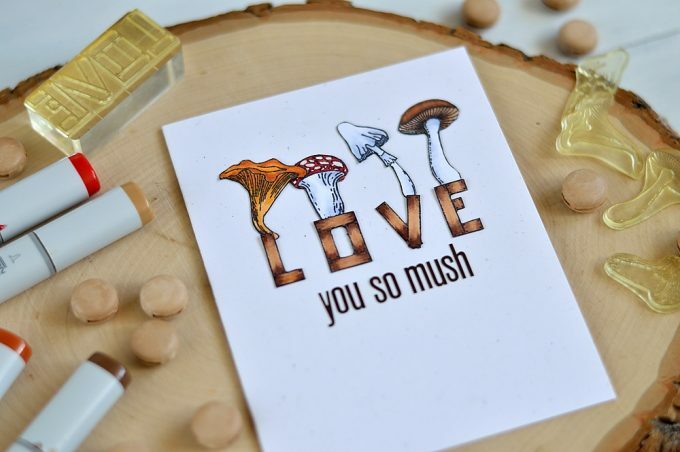 For the first card I stamped, colored and hand cut mushrooms and LOVE word. Then I adhered them onto a rustic card base and added the rest of the sentiment using alpha stickers. But they can come in handy when you need to create a custom sentiment. I also have several sets of alphabet dies, that I use for this purpose. For a longer phrases this one works better. Investing in a die set will pay off on a long run. But you should admit, it’s a bit more time consuming. Die-cutting all needed letters and then adhering those tiny pieces. Stickers are much more convenient for that matter. The ones I used here are not available now. But I’m not talking about buying them (Lord knows, we all have enough to buy anyways). I’m simply saying, that we should revisit sometimes our stash, looking for ways of using what we have. My next card technically was the first, as it was made first. Here I just printed the sentiment. Which I hate to do to be honest. I mean, if I wanted to work with printed supplies, I wouldn’t become a stamper hehe. And here I totally could spell the sentiment using the same stickers. But I didn’t think of them on that point. The card is very simple. 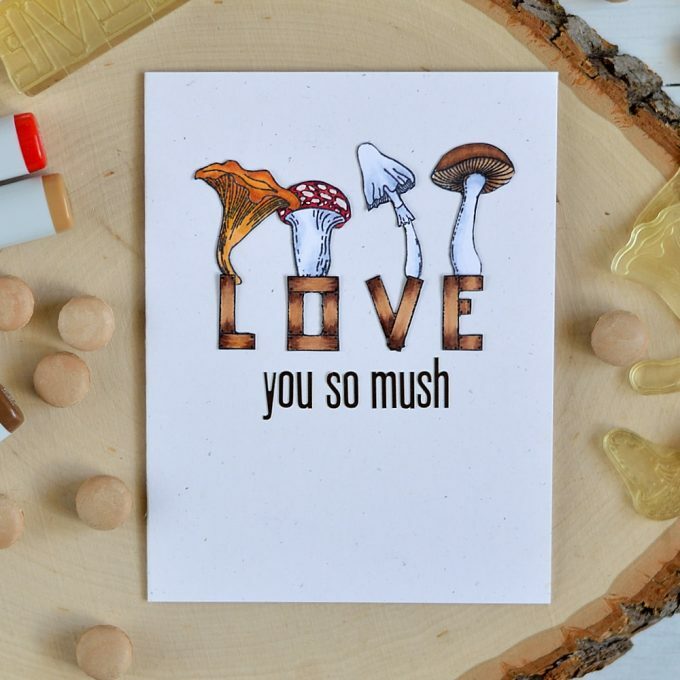 I stamped, colored and cut Amanita mushroom. For the white spots (or whatever these things called) I used a white pen. Then the mushroom was foam mounted onto a panel with a printed sentiment on it. 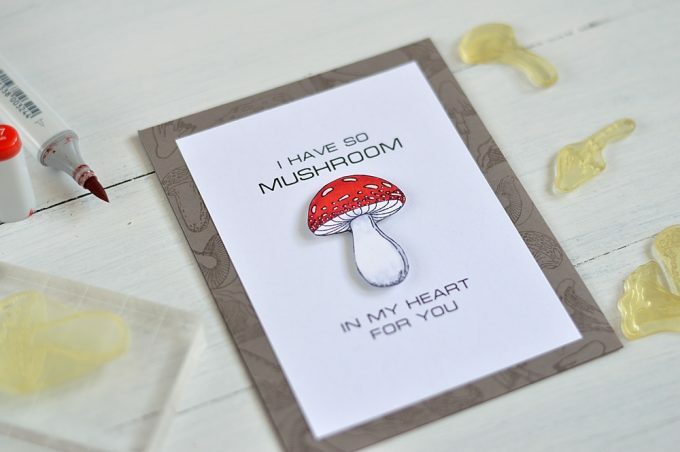 The panel in turn was adhered into a Rock Candy card base that I covered with stamped with Versamark ink mushrooms (smaller mushrooms and Amanita Phalloides). 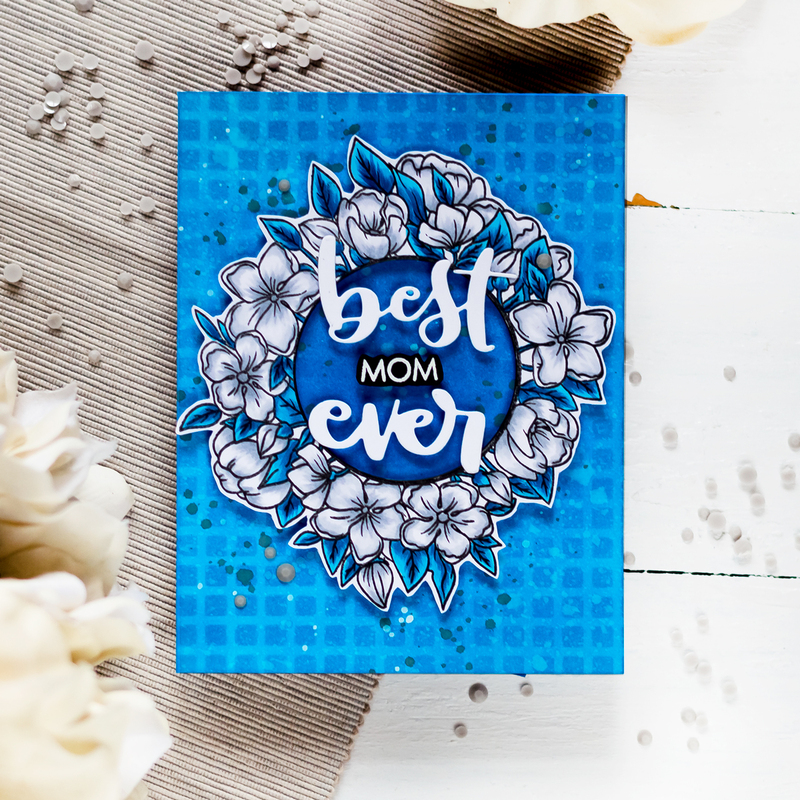 Versamark ink creates watermark effect, love using it for tone on tone stamping. 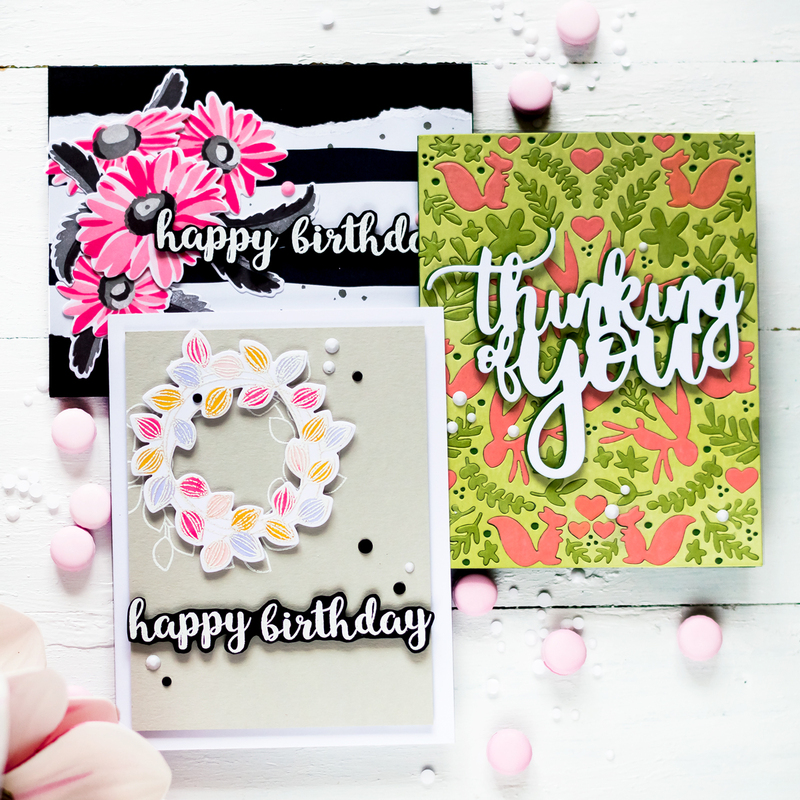 No need to have coordinating ink and cardstock. So cute & fun! Clever too! Yes we get the huge stash. 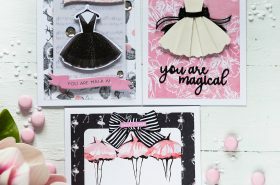 I started scrapbooking first & now it’s all about cards. I am going to slowly go thru my stuff & get rid of some things.